The concept of TradeWinds was born in the mid 1990's, with a dream and a vision. A dream of cruising turquoise, warm and shallow waters, of scuba diving at breathtaking coral reefs, and "liming" at sunset on beautiful catamarans anchored at secluded islands. 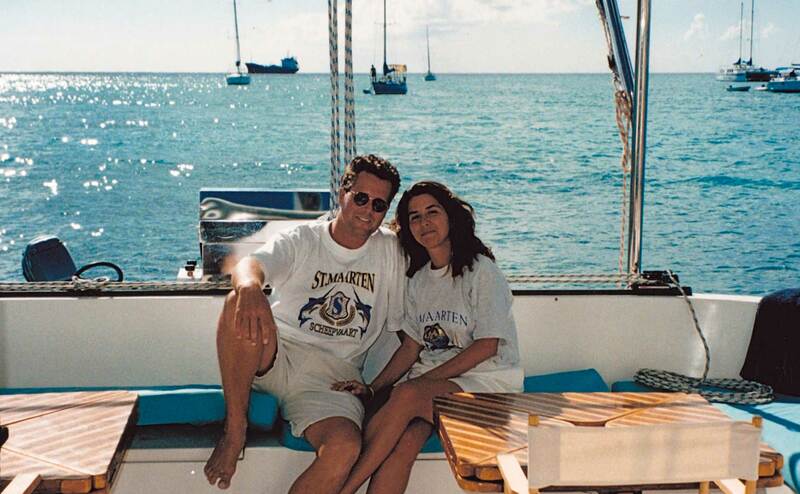 Our dream became reality a few years later, when we started a crewed yacht charter operation with our first catamaran "Turquoise Dreams" based at Bobby's Marina on the island of Sint Maarten in the Caribbean. Today, more than 18 years later, TradeWinds is leading the way to make all-inclusive, luxury, crewed catamaran charters available to the luxury vacation market. Over 60 thousand people have experienced TradeWinds’ luxury yacht charters vacations at one of our twelve bases, stretching from Central America and the Caribbean islands, to the Mediterranean and the South Pacific. Our driving force from day one has remained the same: to provide superior yachting experiences on-board luxury catamarans and exceeding our guests' expectations whilst they charter with us in some of the world’s most attractive destinations. The very first TradeWinds catamaran was Turquoise Dreams; a custom designed, comfortable and reliable Royal Cape 45 built in South Africa. This beauty, which sleeps ten comfortably, became a favorite yacht among both guests and crew. Our fleet increased with the addition of subsequent Royal Capes, as well as French-built Privileges and Marquises, ranging in size from 45 to 56 feet. In 2003, we introduced the TradeWinds 'Explorer'; a custom built 70-foot catamaran currently sailing the coast of Panama. In collaboration with the renowned French yacht builder Fountaine-Pajot, we launched a major investment program in 2011 to update and replace some of the older fleet with new, top-of-the-range luxury catamarans. The Flagship brand of this new fleet of yachts is the TradeWinds 70; the largest production cruising catamaran ever built by Fountaine-Pajot. 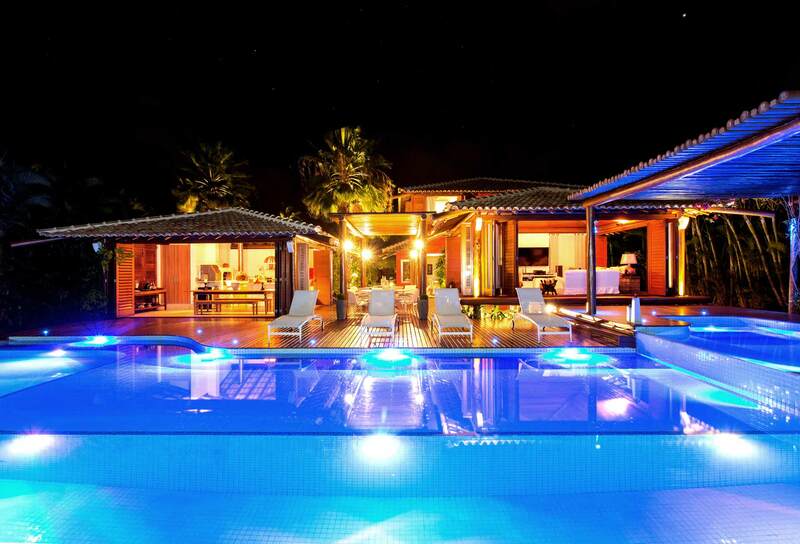 Fully air conditioned and consisting of 6 guest suites, all with island beds and private en-suite bath and showers. 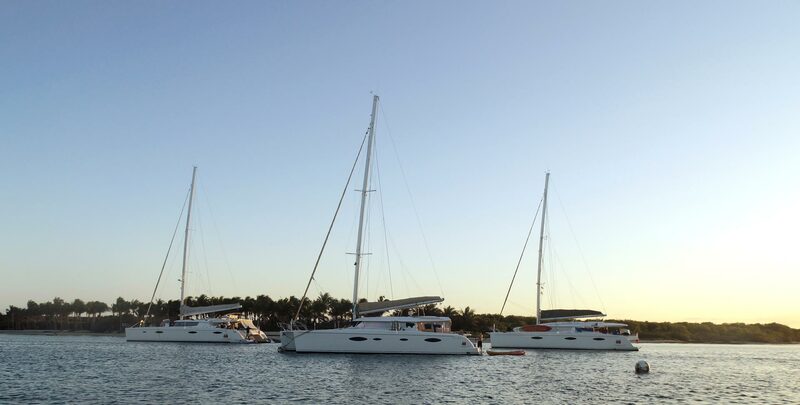 Our fleet now includes TradeWinds 52's, TradeWinds 59's and TradeWinds 60's, all custom built by Fountaine-Pajot, exclusively for TradeWinds. TradeWinds operate across the Caribbean, at several locations in Central America, as well as the Mediterranean and in the South Pacific region. We have operations in the British Virgin Islands, Sint Maarten, Antigua, Guadeloupe, St Vincent and the Grenadines, Panama, Belize, Greece, Turkey, the Bahamas and French Polynesia. Learn more about these fantastic destinations. We are always on the lookout for new and exciting destinations to join our growing variety of options on offer to our guests and members. Destinations in exotic and far-away places must meet our requirements for safety, accessibility, and sufficient infrastructure to provide sustainable operations before we may offer it as a permanent TradeWinds base. 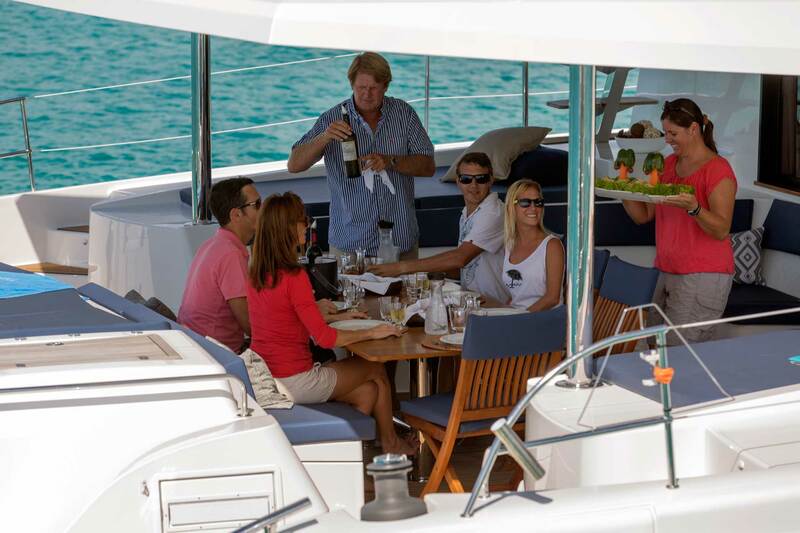 At each destination, our TradeWinds management team and staff are on-hand to welcome and assist our guests - ensuring a smooth and hassle-free check-in service to their yachts. The local TradeWinds offices may also assist guests with local transportation, hotel and restaurant reservations, or sales and membership queries. At the TradeWinds bases, operations are handled by our nationally registered companies with locally employed staff. Recruiting only licensed and experienced captains and first mates, together with our initial and ongoing training programs, ensures our high standards are consistently met and excellent customer satisfaction is guaranteed. Our administration office, which includes member services, bookings and reservations is based at Bequia Marina in Port Elizabeth, Bequia, St. Vincent and the Grenadines. Today, the majority of bookings is done via email or directly on our interactive members' website. Our members also use the site as a forum to share advice and experiences, and explore cruise opportunities with other TradeWinds members. The yachts based at our Caribbean destinations undergo periodic overhauls in St Martin, giving us the means to plan and undertake maintenance and repair work in a streamlined and economical manner to offer service to the local bases. Here, purchasing of charter-related goods is completed centrally - mitigating the cost of operations in our more remote bases. The majority of privately owned yachts are moored at their home marinas more than 90 percent of the year - a time that otherwise would be available for cruising. All costs of maintaining and operating these yachts are still payable, making the few sailing opportunities substantially expensive for the owners. This is where the idea of our Cruising Club concept originated - all fixed costs for sailing, maintaining, and operating a luxury yacht could be shared proportionally with others, dependent on their actual usage. To learn more about our Cruising Club Contact us today and speak to one of our specialists. LOOKING FOR A YACHT SHARE? A Yacht Share is a yacht syndication program that offers boating enthusiasts the opportunity to own a share of a luxury yacht. By sharing the costs of purchasing and maintaining a vessel, syndicate owners can enjoy the freedom of the boating lifestyle without all the hassle normally associated with boat ownership. At TradeWinds we provide the ultimate Yacht Share whereby you can sail to your heart's content and not be concerned with maintaining, provisioning or even sailing the yacht. Join over 5000 of our members in experiencing the ultimate in hassle free cruising. Contact us today for more information on Yacht Share. Through the exclusive benefits program available to TradeWinds members, we offer not only discounted sailing adventures, but also direct access to our affiliate and associate resort partner programs. A number of these resorts have earned the title of "world’s most attractive resorts" across Asia and Europe, and all are exclusively available to our members.